My feng shui journey describes a route into feng shui and the possibility to make a career out of feng shui. I hope this inspires you to begin a feng shui journey of your own. When I left school I trained as an engineer and worked in the automotive industry on safety systems. The interesting thing I soon learnt was that none of the concepts really worked. Whilst it might be possible to prove them in laboratory conditions, in the real world there were always too many variables and a lot of it came down to trial and error. This was good preparation for my feng shui journey as I was better able to work with the principles of feng shui like yin and yang and the five elements. My science background helped me understand that any concept will only work some of the time and even then is only an approximation. For me it is essential to mix any idea with sufficient real life experience to know what works and what doesn’t. It is this experience that makes someone a feng shui master, consultant, teacher or expert. I first learnt about feng shui when I studied macrobiotics with Michio Kushi in 1984. He taught nine ki astrology so I had an early introduction to the lo shu and the idea of nine energies with their associated elements and trigrams. From this I gained a basic understanding of feng shui, although it was very much integrated into other ideas and the understanding of chi energy in terms of healing. 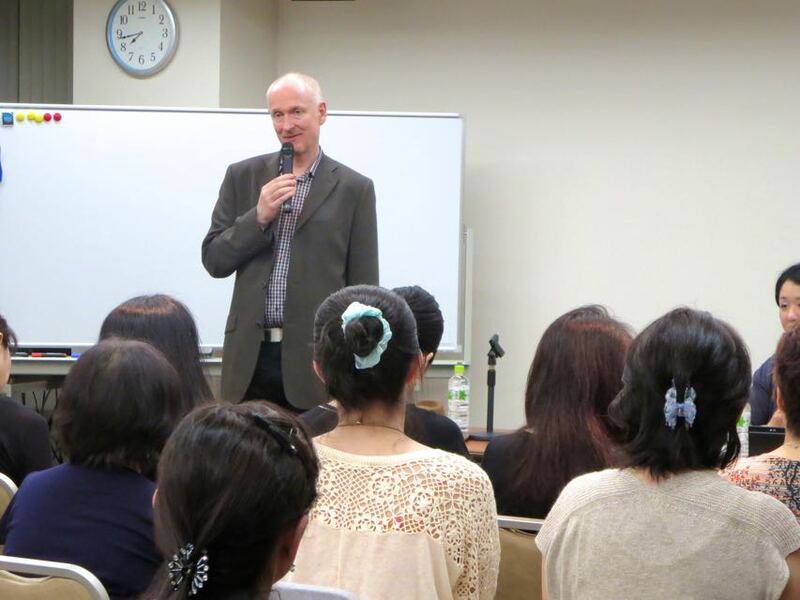 Later I ran the first big feng shui courses in the UK for William Spear in 1990 and this led on to inviting Takashi Yoshikawa to give regular classes in London. I went on many consultations with him and he helped me refine and develop my feng shui practice over several years. Since I have mainly learnt through my own practice of feng shui, by comparing notes with other feng shui practitioners and taking courses with many Chinese feng shui masters. At first I worked with many people using feng shui for their homes. As time went by I became increasingly involved with applying feng shui to offices, shop and restaurants. This shaped my feng shui journey. For example working with The Body Shop I collaborated with the main designer on setting up feng shui test shops, first in a warehouse, and then at various sites in London. The success of each design was measured in terms of how much sales increased. Once The Body Shop were happy with the results, the feng shui design was rolled out to the eight hundred UK shops. This meant the design had to be universal and suitable for any shop regardless of which way the shop faced, its shape or where the entrance was. My normal compass method of feng shui had to be developed into a more flexible relationship between people and the shops atmosphere, letting go of outside influence. My biggest single feng shui project was working with British Airways on their Waterside headquarters for over three thousand staff. BA had very clear feng shui objectives and I needed to ensure that my feng shui recommendations fulfilled their aims. Here I really needed to feel and imagine what it would be like to work in building that was still on paper. It was amazing to witness the building grow and slowly gain its unique atmosphere. I still visit from time to time and even after nearly ten years it is still far ahead of other newer offices in terms of being the ultimate feng shui work place. More recently I have been working on a number of feng shui airport projects in Turin, Venice, Paris and Cape Verde. This was particularly interesting in terms of feng shui as for passengers using an airport the experience is one of a process. Passengers enter at one side go through a variety of experiences and come out the other side. This helped me develop the idea of buildings being an emotional experience and allowed me to get experience in bringing feng shui into the design process in a way that we could imagine how we would like passengers to feel at different points along that feng shui journey and design that into the airport. This is something new for airport design and in a small way quite revolutionary. When I discovered feng shui I saw the opportunity combine my healing work with my earlier design experience. To me it is how people interact with their environment that fascinates me. For me feng shui is all about people. I like to visit as many buildings as possible to see how I feel emotionally and observe my thought patterns in that environment. It is amazing how different homes feel when I visit and how the inhabitants react to their environment and how much this can impact someone’s life. Similarly public buildings have a huge impact on society, local residents and visitors. One building can change peoples’ impression of a whole city. I am convinced part of the answer to why certain buildings make such a difference is found in feng shui principles. Using buildings is an emotive experience and it is those emotions that make a building special, memorable and eventually a talking point. Before feng shui I was aware of the development of Buddhist thinking in India, the journey into China and the development of the Tao, and onto Japan in the form of Zen. Many of these collective ideas became the foundation for George Ohsawa’s development of macrobiotics. My studies with Michio Kushi were very broad based. He liked to explore chi in all its forms and permutations, looking at it from the widest universal viewpoint and then zooming into the most detailed analysis of a food. I already knew William Spear well as we used to work together in the macrobiotic community in America so this gave me an open, broad based entry into feng shui. Both Michio and William emphasised using intuition and at the beginning the feng shui principles were very simple – mainly chi, yin and yang along with the five elements and trigrams. Plenty of room was left for interpretation. As I could already see and feel chi and had plenty of experience in sensing chi people’s bodies it was relatively easy to grasp the ideas of how a building might influence a person’s chi flow. One interesting aspect of Oriental thinking is that the same principles can have so many different applications. Yin and yang and the five elements can be applied to astrology, feng shui, people, the seasons, times of day, food, exercise, meditation, martial arts, colours and so on. Once you really understand the principle it is not too hard to learn how to apply it to a new discipline, such as feng shui. In some ways this multi direction approach made it easier for me to get plenty of real life experience with the theories. Through shiatsu I could feel chi in people and gain experience in the way chi flow influences our emotions. Through macrobiotics I could play with the chi of different foods and try it out on myself and friends to see what effect, for example a special tea would have on our energy and emotions. So when I came into feng shui I could already feel the energy of a space and relate this to how people might feel there. It was only a few years later when I studied the feng shui concepts in more depth I became aware of the complexity and sophistication of feng shui. I enjoy my feng shui work primarily because I like working with people. I would like to think I approach my work with an open mind, keeping myself free from judgements, assumptions and trying to impose my theories on other people. If you would like my help in starting your own feng shui journey please call 07543663227 or email me.